How can the terrorist, who has pledged several times his objection to international resolutions, achieve just outcomes of his new position?! Hours after the Orlando Shooting Hoax we had a big announcement in regards to Israel and the U.N. An announcement that TPTB didn’t want mentioned on the News. Could this be one of the reasons to stage this hoax? But of course Israel’s minister of defense would think otherwise. He opined just a few months back that the IDF and Sunni terrorists in Syria were on the ‘same page’. Therefore, applying Israeli political logic, if they’re 5 years old they’re a target for illegal abduction. But if they’re a group of drugged-out head-choppers selling Israel stolen oil, then they’re ‘just fine by us’. Days of Palestine, New York -The UN has approved Israeli terrorist Danny Danon, who believes in eliminating all Palestinians, head of sensitive legal committee. Danon is officially now the head of the UN Legal Committee, officially known as the Sixth Committee, which deals with sensitive topics including imposing international law and fighting global terrorism. This is the century’s joke that this terrorist and the representative of the terrorist state of Israel is heading an international committee that is responsible for imposing law and fighting terrorism. 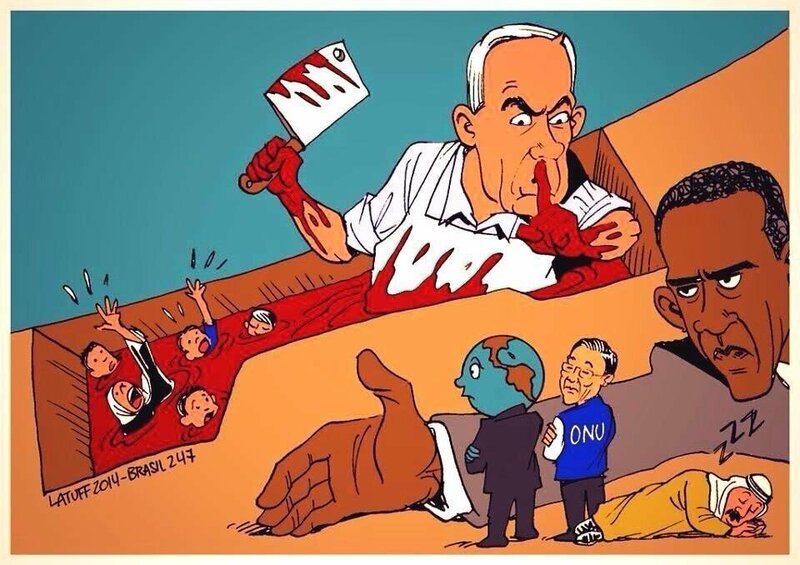 But it is not strange that this happens in the United Nations, which is the body whose main role is to defend terrorists and justify their acts, while blaming terrorism on people who have nothing to do with terror. If the organisation respect itself, it would be unbelievable that it approves Israeli terrorist to head this committee while it accuses his country of disrespecting international law almost in all of its reports. At the same day of Israeli terrorist approval for this legal committee, the UN issued a report accusing Israel of lack of respect for international law. In the wake of his nomination, Danon said: “Israel is a world leader in international law and in fighting terrorism,” noting he would give international law lectures to the world. For himself, it is OK that he ignores his own remarks through which he defies international law, but for the UN, it is not OK. He also made it very clear that the does not accept at all the two-state solution. This means he want to eliminate all Palestinians; otherwise, they became Jews. “We do not want a Palestinian state,” he said.